Grandma’s brown rice doesn’t need much explanation or description. It’s the all time favorite side dish from adults to kids. Three ingredients is all you need. It’s super easy and oh so good! It’s the best dish to accompany any steak, meat, or fish. Preheat oven to 350 degrees. 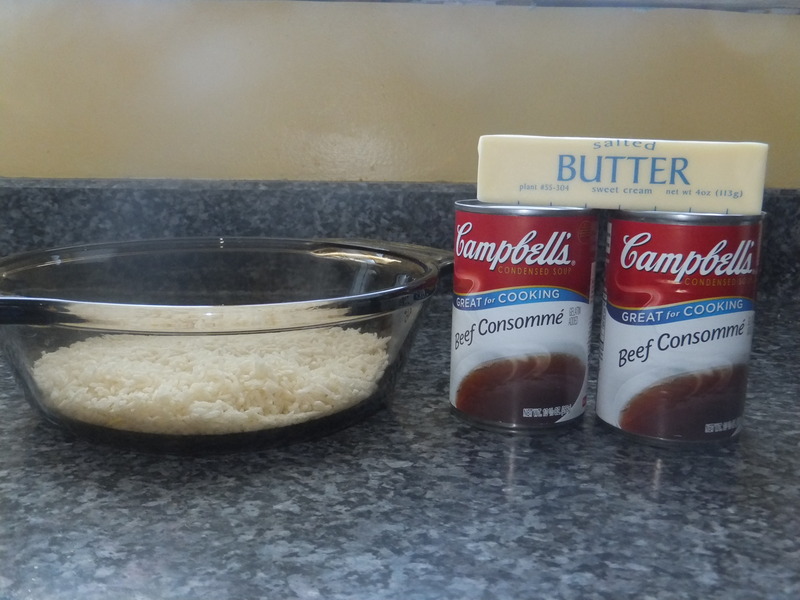 Place all ingredients in a glass casserole or corning ware dish (1.5 or 2 quarts). 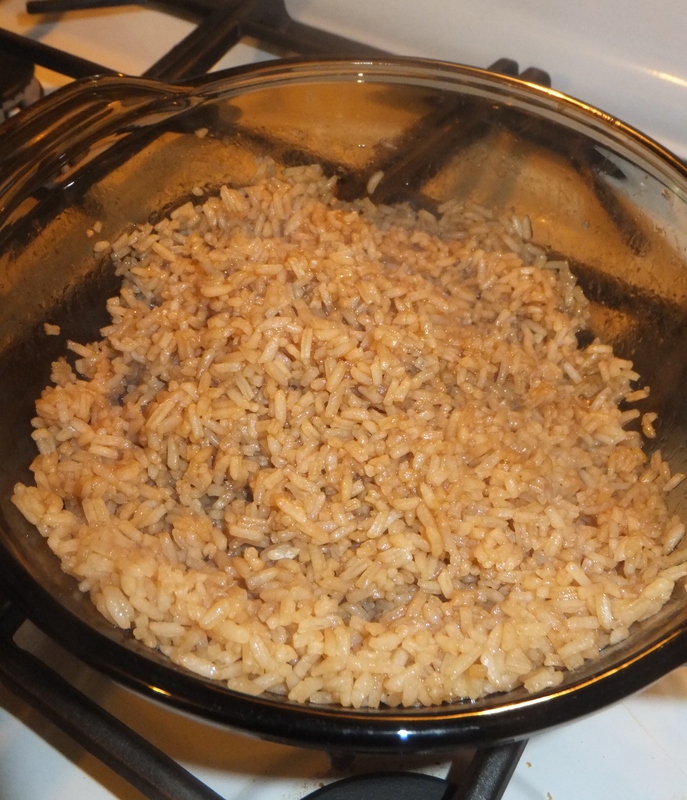 Cover and cook for 45-50 minutes, stir rice halfway through.